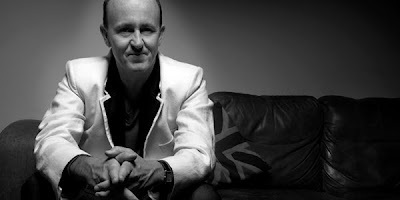 Music Production and More...: Danny Rampling Masterclass – To be Streamed Live Online! Danny Rampling Masterclass – To be Streamed Live Online! The time is drawing closer to the legend that is Danny Rampling coming into Point Blank to deliver not one but TWO FREE masterclasses! He will be talking about how to succeed in the music industry to celebrate the launch of his great new book titled ‘Everything you Need to Know About DJing and Success’. On top of this we will be streaming the lectures through our Livestream channel so everyone can also watch live online even if you cannot make it to the studios. Both masterclasses will be on 16th March, the first will now be at 11.15am (GMT) and is open to Point Blank students only. The second is at 12.30pm (GMT) and is open to everyone, a great way to pick up some tips from an artist who has seen it all whilst checking out the Point Blank studios if you haven’t yet been. Both will last roughly an hour and there will be a chance to ask him questions at the end. This will be the first masterclass we have ever streamed through our Livestream channel. We are very excited about this new method of sharing knowledge to the furthest flung corners of the globe! Head to livestream.com/pointblankonline on 16th March to catch the action. There are only a few places remaining for the masterclasses, so please get in touch with davidm@pointblanklondon.com ASAP to book yours.